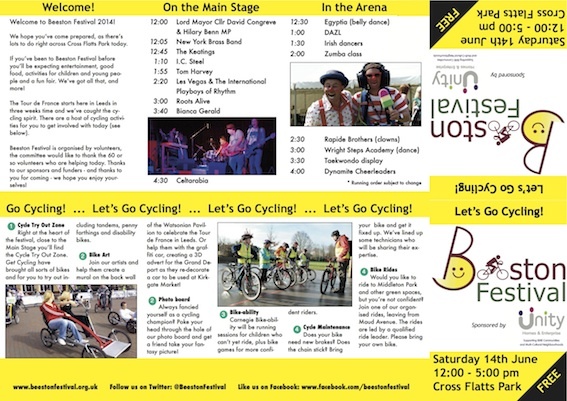 The programme for this year's festival has been produced. We would like to thank our friends at Absolute Design & Print for their help in putting this together. 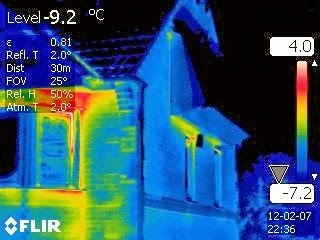 Well, you can of course see heat escaping from a house using a thermal imaging camera. Taking photos inside the house shows the cold spots where the cold gets in (i.e. heat is lost). From the outside, you see hot spots where escaping heat emerges. In December 2013, Transition West Bridgford put in a bid for funding to buy a thermal imaging camera and now we are ready to use it!! Jean Willgoose, a U3A member writes about a book she has had published in memory of her late husband Roger. This has been an emotional experience for Jean described here in her own words. Open Homes May 2014 - open for bookings! 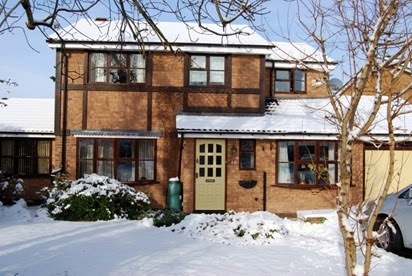 Here are the links to each home on the booking system (with further details on these and other homes across the East Midlands in the blog posts below). For last minute bookings (on the day, or the evening before), text or call 07962 453037 with the house name, date and time for the visit you wish to book. We will get back to you with the details and confirm whether there is space still available. One of our committee members, Secretary Jeremy Morton, has been so inspired by our ‘Let's Go Cycling' theme that he has joined the Lord Mayor's charity cycle ride. 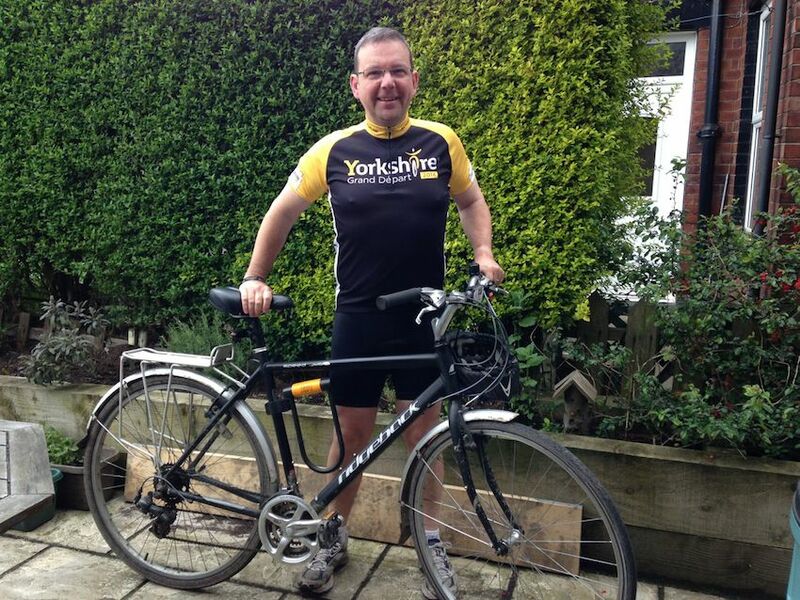 Jeremy will be cycling 65 miles from Hull to Leeds on Sunday 4 May to raise money for the Lord Mayor's LOFFTY (Leeds Offers Fun For The Young) charity. Of the homes we're opening to the public in May 2014, this is the first to be featured here in the run up to the open days. 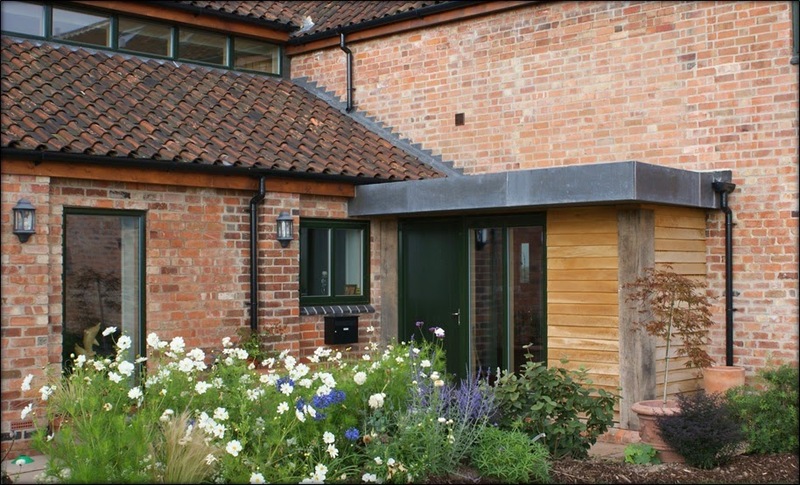 The Green Man House is a new build to almost Passive House standard, and it's near Market Bosworth! It may seem a little way outside Nottingham, but it's a great house so it would be a shame to miss it out. 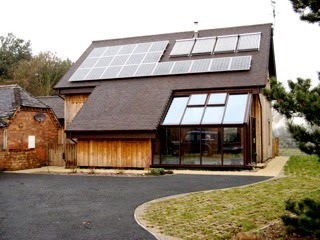 This May (2014) there will be a huge range of low energy and sustainable homes opening across the UK for interested householders to visit for free. It's a great way to suss out ways to make your home more comfortable and reduce your energy bills. Many of these events are supported with funding from the Centre for Sustainable Energy, and all the homes are listed on the Green Open Homes website. Our third open home (Harrow House / Towards EnerPHit) is an ultra-low energy refurbishment which was designed to meet the EnerPHit (Passive House refurbishment) standard. To book your free visit to this West Bridgford home, click here. Numbers are limited so that you get the best from the visit, with time to put your questions to the home owner during / after the tour. Our 6th Open Home this year is on Charnock Avenue near the Queens Medical Centre in Nottingham. Like home number 5 (see previous post), this is an ambitious ultra-low energy refurbishment - and it is mid-refurb! To book your free place for the 2pm tour on the 18th May 2014, click here. Open Homes May 2014 - This year's theme - seeing heat loss! This year, we have 7 great open homes and a new display. Details of the 7 homes are in the preceding posts (below). And they are pretty diverse, including two homes that will be "mid-refurb", some extreme refurbs, 2 new builds and a cavity wall insulated house that has cut its energy bills in half with very moderate energy and cost saving measures. Our 5th Open Home this year (on Wollaton Road in Beeston) is "mid refurb", so it really is a great opportunity to see the nuts and bolts of what's being done now while you can still see the insulation and other elements that will eventually be hidden. To book your free place for the 2pm tour on the 17th May 2014, click here. Last but by no means least on this May's open homes list is a 1980's cavity wall insulated house. On Peveril Drive, West Bridgford, just up the hill from house number 3 (see previous post) is another seriously low energy home - achieved in a very different way. To book your free place for the 12 noon or 4pm tour on the 11th May 2014, click here. A little closer to home, in East Leake, is our second open home, Greenstone. 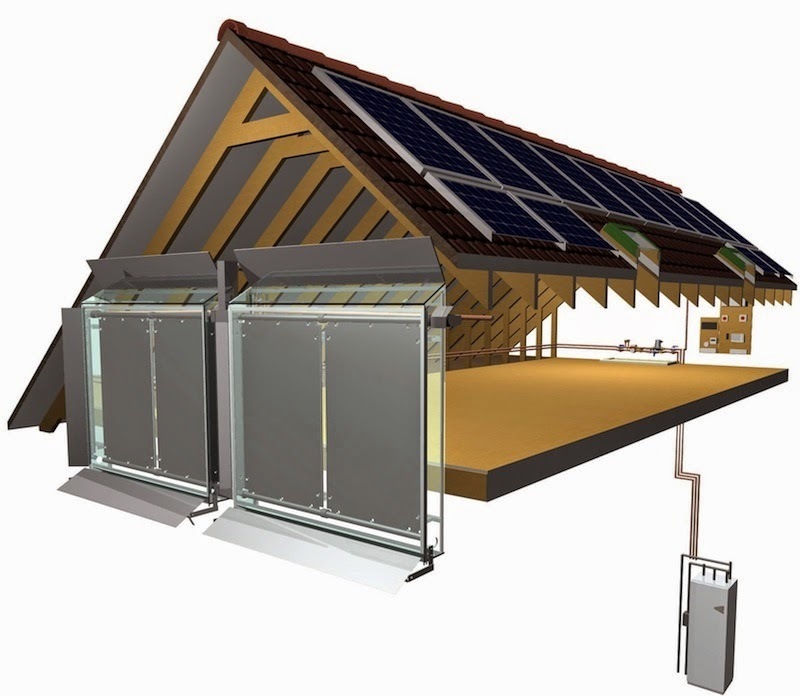 It's a zero carbon barn conversion with a long list of features. And since this home last opened to the public, there have been a few additions to maximise use of the elecctricity generated. If you have not been before, it is well worth a visit! We are delighted to announce that the up and coming New York Brass Band will be playing on the main stage at Beeston Festival 2014. The band bring a New Orleans energetic style to classics such as I Want You Back, Empire State of Mind and Misirlou.